A fresh faced New York-style deli at the doorstep of the Khandallah Reserve. Creamed mushrooms on toast with a cup of delicious Karamu coffee, roasted locally. 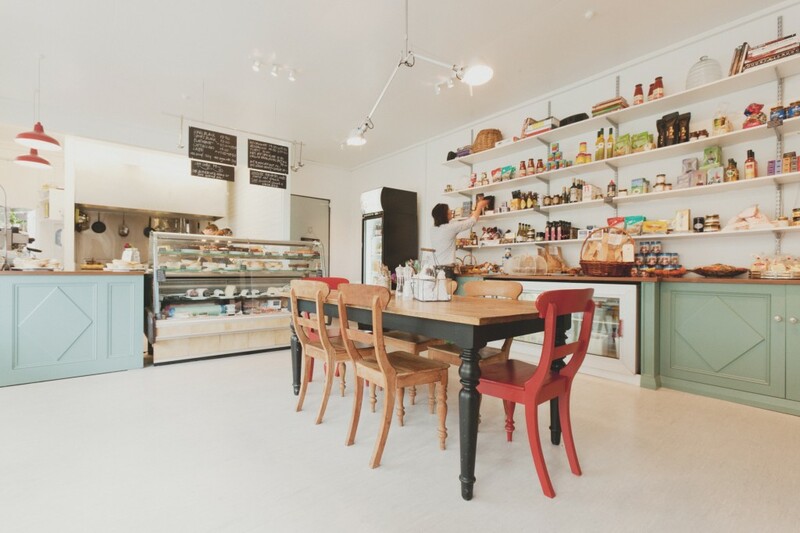 Tucked away on the edge of the Khandallah Reserve is a delicious little deli called Dunshea's. It's a suburban deli that specialises in homemade treats, with all their food sourced locally where possible, including using Wellington's own Karamu coffee. Dunshea's serves cafe food with an international twist, chef and owner Craig Dunshea setting up shop after returning from his wandering around the world. The place has the feel of an NYC local deli. There's also a Canadian influence by way of chef Tom from Vancouver and his Nanaimo bars - a lemony, custardy, chocolatey indulgence that is all things good and gooey. Dunshea's breakfasts are tasty and well proportioned - letting the flavours, rather than the volume do the talking. Their mushrooms and spinach on rye dish is rich and fulfilling, while they do wonders with hot smoked salmon and a poached egg. It's a popular spot, so you might have to wait for a seat at the shared table or outside under the awning, but it's a good place to meet up before hitting the bike trails, or heading up Mt Kaukau (and an even better place to recover afterwards).